New Year Celebration in Cambodia starts on 14 April 2018. 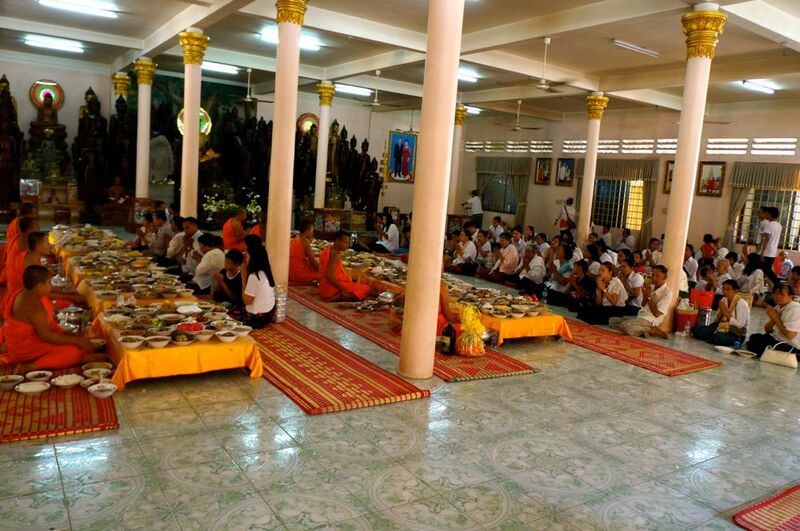 Khmer New Year is usually celebrated from 13 April to 15 April or 14 to 16 April. 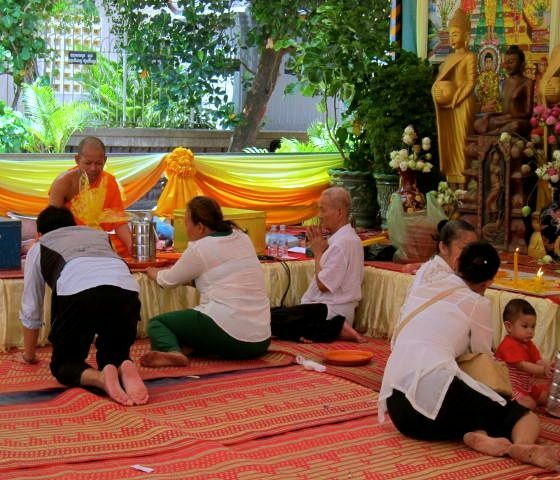 The first day of the celebration is often referred to as Moha Songkran. When we were there, we went to Wat Lanka, one of the oldest pagodas here in Phnom Penh. It was decked with Buddhist flags and baysei, the golden tiered decor you find in this picture. Two little girls in their fine white New Year clothes pose for their parents in the Pagoda. Below is another family relaxing after making their offering. 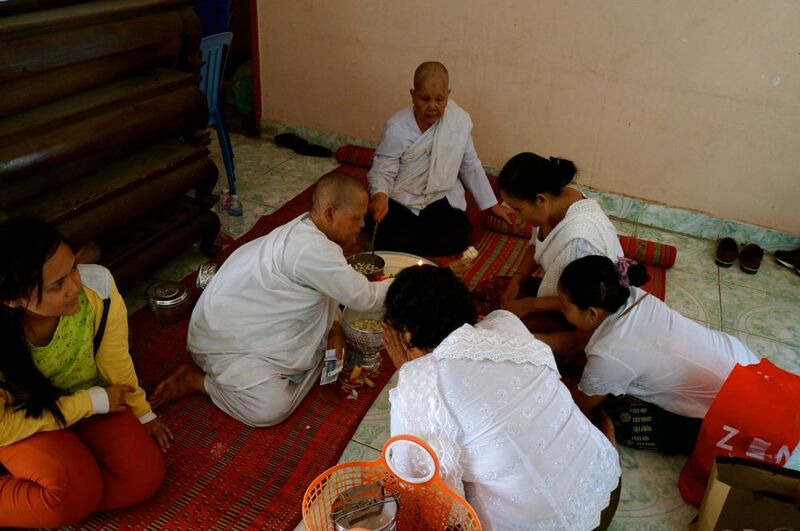 Families go to the temple, make their offering and ask for blessing. Dressed in their best clothes, everyone both young and old visit the temple. 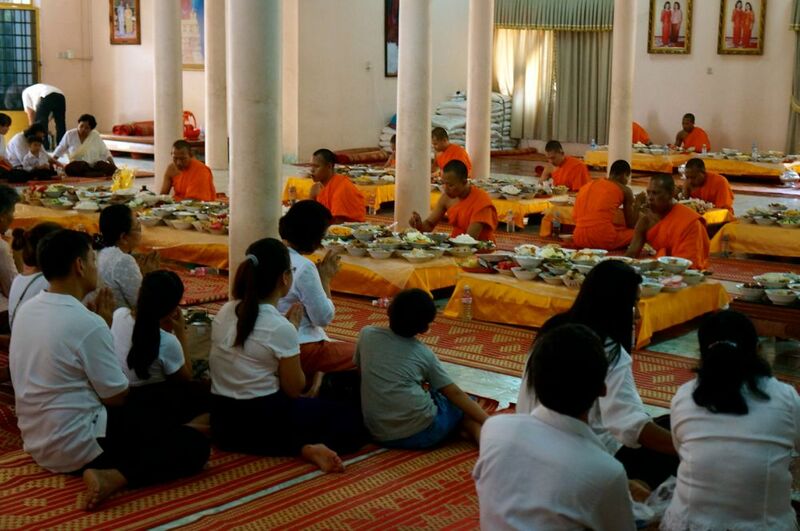 The people pray for blessing with the monks after they have made their offering. Getting blessing from the nun. 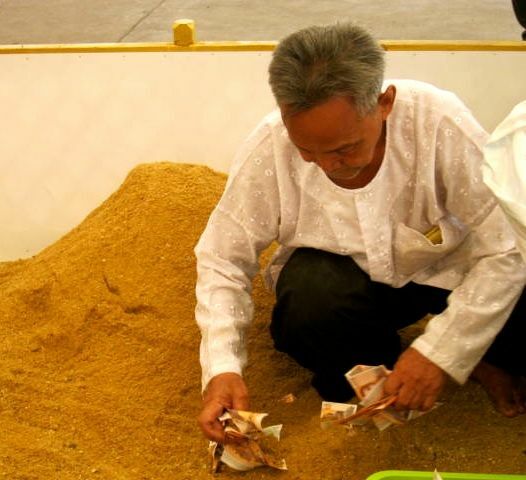 ​Below is the sand box where people offer money and sand. 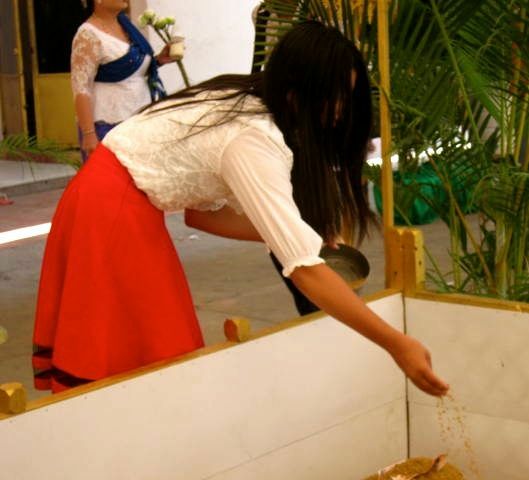 Below is the table prepared for the arrival of the Khmer New Year Angel. Each year, the angel is served her favourite food depending on which angel is coming. 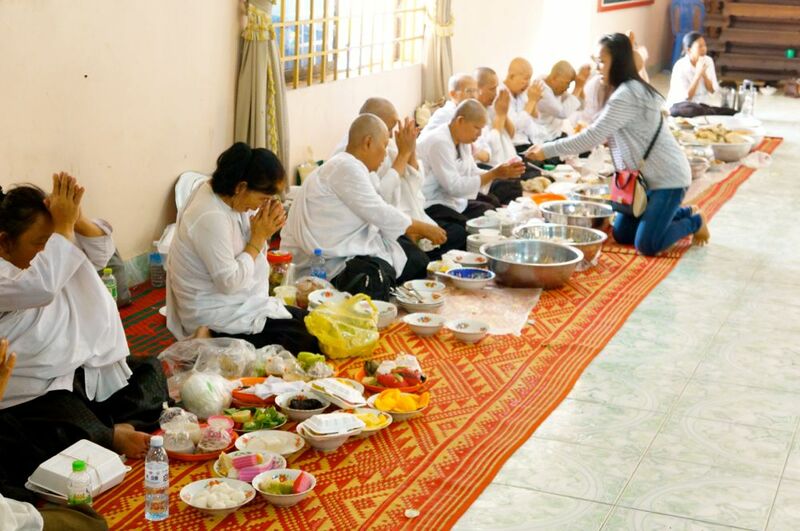 Have you ever been in Cambodia during Khmer New Year? What was it like?